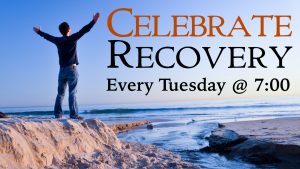 Celebrate Recovery meets every Tuesday evening from 7:00 – 9:30pom at our Church property, 1750 Stouffville Road, Richmond Hill. 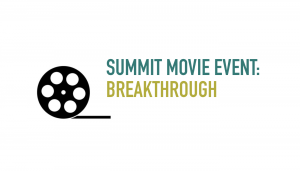 The Summit Women’s Ministry invites you to bring your family or friends and join us on Thursday, April 25th (7:00PM) at the SilverCity Movie Theatre in Newmarket (18195 Yonge St) to see BREAKTHROUGH. Tickets are $10 / person and spaces are limited, so make sure you don’t miss out on this fun night by CLICKING HERE TO RSVP & GET YOUR TICKET. Welcome to Summit Community Church, where our doors are open to people from all backgrounds, regardless of where they are on their spiritual journey. We are committed to cultivating a “come-as-you-are” culture that accepts people as Jesus would, and patiently encourages their spiritual formation toward Christ-likeness. Through practical messages, contemporary music and kids classes from Nursery to Grade 8, we present the ageless truths of the Bible in a compelling format that’s easy to understand, even if you have never been to church. 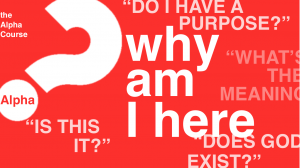 If you’re looking for a church or just want to check out God and this thing called Christianity, we hope you will join us and find a place where you are warmly welcomed and feel at home. Our atmosphere is relaxed, our dress is casual and we offer everyone coffee and snacks after the service. We hope you’ll join us this weekend. God has called His people to live righteous lives and be His light in this world. We cannot possibly accomplish this with sin in our lives that acts as a veil that dims our light and affects every part of our walk with Christ. Set Free! Retreat is a weekend set aside to focus on learning how to deal with sin, hurts, hang-ups and struggles that we all face on a daily basis. Jesus said, “If you hold to my teaching, then you really are my disciples and you will know the truth and the truth will set you FREE” (John 8:31-32 NIV). Who can go to the Set Free! Retreat? Participants must be over 18 years of age to participate. We encourage all to attend a Set Free Retreat no matter where they may be in their Christian walk. Friday, May 3, 2019 — Registration begins at 5:00 PM followed by dinner at 6:00 PM and introductions / sessions at 6:30 PM. Saturday, May 4, 2019 — A continental breakfast will be served at 8:00 AM, followed by the Set Free! sessions starting at 8:30 AM and running until 6:00 PM. Lunch is included on this day. We ask that all our participants attend the entire retreat, including all the sessions and triad groups. The cost of the event is $40 / person (including taxes) attending. This cost includes all the retreat sessions, dinner on Friday, breakfast and lunch on Saturday, as well as the retreat booklets and materials. Full payment of the $40 is due when you register online in order to secure your spot. 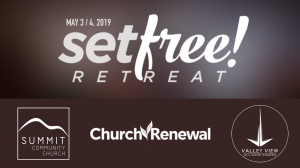 The retreat will be taking place at ValleyView Alliance Church in Newmarket (off Davis Drive) on Friday, May 3 to Saturday, May 4. You will need to bring your Bible, a notebook and a pen. Above all, bring a heart that is willing to be ministered to by the Lord Himself!